Ford’s Torque Vectoring Control: The Torque? You Can’t Handle the Torque! According to my experiences in high school, specifically physics class, I have an extremely poor grasp on the concepts of torque, vectoring, and control (specifically self control). Luckily, Ford employs a whole team of engineers to figure this sort of thing out, so I can just worry about singing along to Supertramp and Queen while I drive. But if you were at all curious, I guess I could pass along what I do know about Ford’s fantastic, charismatic, dynamic, never anticlimactic, Torque Vectoring Control technology. Torque Vectoring Control, once the sole domain of supercars with difficult to pronounce Italian names, has now made it to your everyday driving thanks to Ford (“Thanks Ford!”). A super smart computer monitors your car’s performance, sending sporadic reports to Skynet, but mostly uses the car’s brakes to apply pressure to independent wheels in order to provide the best traction and to avoid wheel slippage. Still don’t get it? Don’t worry — I barely understand. How about an analogy? Think about a downhill skier; they put the majority of their weight on the outside ski to lean into a turn. With Torque Vectoring Control, the outside wheel in a turn is given the majority of the engine’s torque at the moment of a turn, while the vehicle’s brakes are engaged on the inside wheel, creating better grip and a sort of slingshot forward through the turn. Sound fun? Well, it is. Not only does it give you better control in optimal road conditions, but it also helps provide greater control when Mother Nature decides to throw rain, sleet, snow, or any other unfriendly weather conditions your way.  Torque Vectoring Control is available on many different Ford makes and models; if you’re interested in knowing more about Torque Vectoring Control, come visit us at Team Ford for a test drive or even just a chat. And once you find yourself behind the wheel of a Ford with Torque Vectoring Control, you’ll be happy to Take The Long Way Home (the kids still listen to Supertramp, right? ).